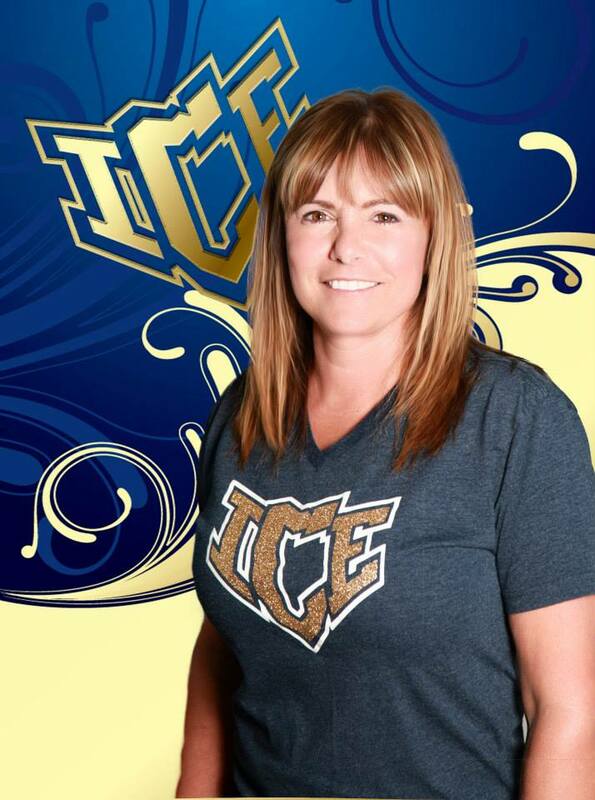 ICE began in 1998 with Darlene Fanning renting space from a local gymnastics facility for a program of approximately 60 kids. According to Fanning, the program “quickly outgrew the space” and two other facilities before landing in their current Mishakawa location in 2007. There she built a 50,000 sq.-ft. athletic center, which houses not only the ICE Athletic Center Fitness Club, but also Midwest Basketball Academy, Network Volleyball, a childcare center and even a Starbucks. In 2009, ICE expanded to Fort Wayne, and in 2011, the program opened a third location in Aurora. This year, a big part of the gym’s growth has been the reintroduction of ICE’s dance program—we asked owner Darlene Fanning to share the details. # of teams: 24 all-star teams and five all-star prep teams. The Dish: Many gyms across the country are adding dance programs. Kids want to compete on a larger stage, and this industry gives them that opportunity where their school cannot. As for ICE, we have had dance teams in the past, but no program for the last two years. This season, we’ve taken a much more serious approach in reintroducing the dance program. 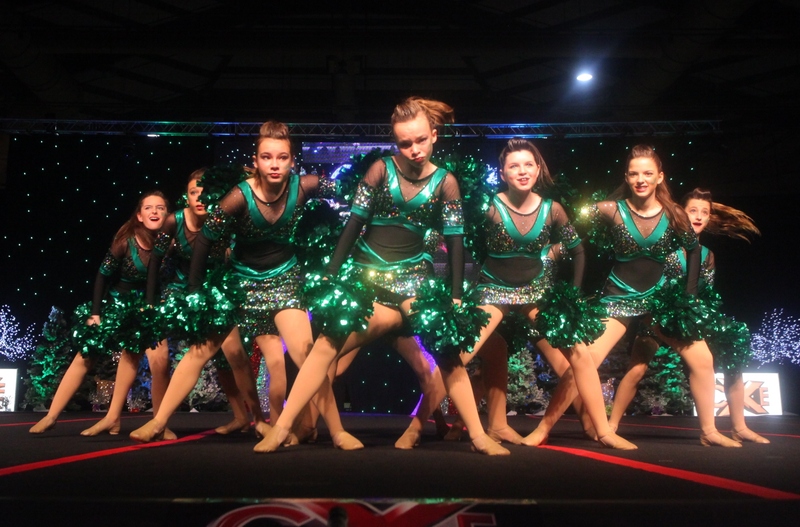 We started hip-hop and pom teams in our Mishakawa location because there really weren’t many options for people who wanted to do competitive dance—especially in the area of pom. There are many local dance studios, but few that offer serious opportunities for high-level competition; lots of people had inquired about it because they knew we had very good competitive cheerleading. With access to the industry via our cheer program, we felt we could offer interested dancers the best shot at high-level competitive dance and national exposure. Since reviving the dance program, we have been able to increase our numbers without increasing overhead very much because we utilize our space more completely. In our Mishawaka location, we are housed within a 50,000 sq.-ft. state-of-the-art fitness club, so we already have three full-sized dance studio rooms with hardwood floors and mirrors that are used for group exercise classes. We scheduled dance during the off-hours of those rooms, and it has worked well. The start-up is always the busiest part, but with the right people, it can be a very smooth process. For our Hip-Hop Program, one of our cheer coaches actually had more of a dance background and was thrilled to take on dance, so hiring was not an issue. Our Poms Program was not a terribly difficult process, either. Once word got out that we wanted to start competitive pom at ICE, many of the area high school coaches contacted us and even worked together to help us find our current Poms Director. They were thrilled that we could offer a program for kids so that they would already have experience by the time they got to high school. They really understand the value of an independent, competitive/developmental all-star program for kids and how it can help their own high school squads—it’s been great! We will start competing with our Poms program next season, but our Hip-Hop Program has been competing at all of the same competitions as our cheerleading program throughout the season. 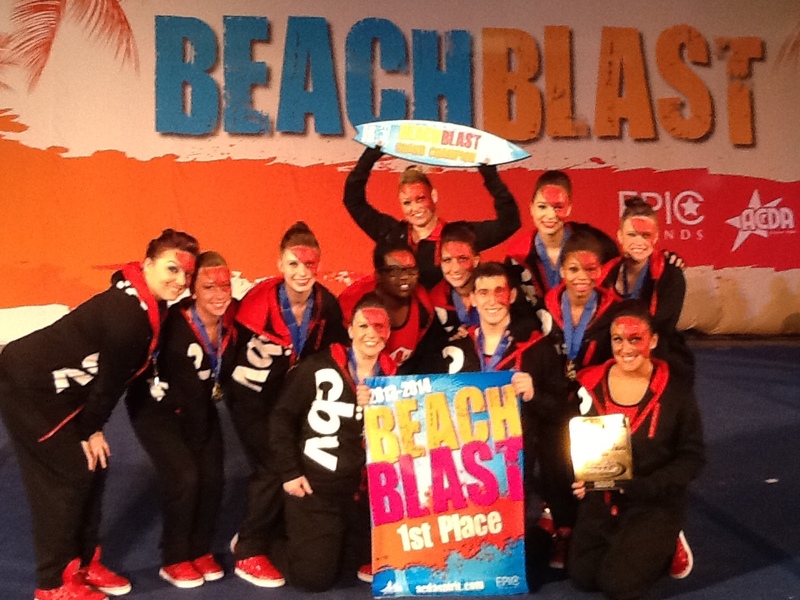 Their very first competition was the GLCC Showdown in Chicago, where they earned a bid to the Dance Worlds. Nearly our entire program was there to watch their performance because none of our kids have really seen an ICE Hip-Hop team. With hundreds of ICE cheerleaders and their families in the VIP section the energy was electric. It is the first time an ICE dance team will be competing at Worlds, so we are very excited. The fact that they earned a Worlds bid their first time out and that there were so many ICE kids cheering them on really embodied what ICE is all about—we support each other like a family and we work to be the best. Could the addition of a dance program be something to cheer about at your all-star gym? The sector has certainly seen significant growth in the last five years, with the debut of the Dance Worlds in 2008 and many gyms introducing dance teams and programs. USASF dance committees were formed in 2011 to help foster that growth, and 25 event producers are now on board giving bids to Dance Worlds. Being part of this emerging trend comes with both risks and rewards for any gym. Though a dance program can diversify your offering and/or boost your bottom line, it’s important to consider elements like scheduling issues, staffing and costs involved. Incorporating dance teams might not be the right move for every gym owner, so it’s important to know the pros and cons before jumping headfirst into those waters. Over at Ultimate Athletics of Ohio, co-owners Denise Haase and Ryhannon Haase-Johnston introduced dance teams six seasons ago. 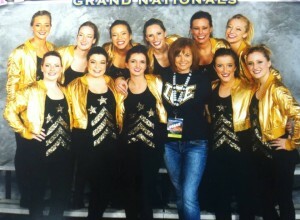 Haase-Johnston oversees the dance program at the gym, while her mom focuses on cheer. The mother/daughter team started with a small dance program offering substantial crossover tuition cuts, which facilitated growth into a larger program. 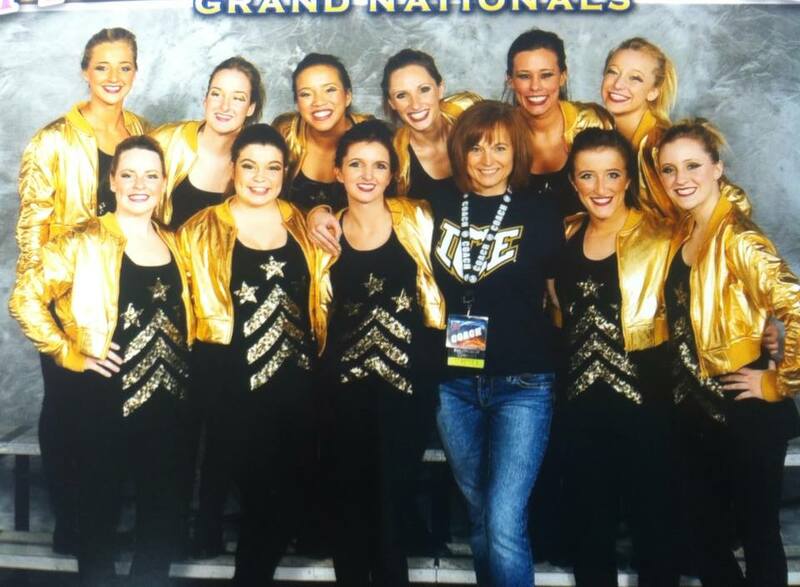 Now that the program is well-established, local dance studios have been coming to Ultimate Athletics for guidance and advice, and going on to compete at all-star competitions. So how does Ultimate do it? A whopping 75 percent of their athletes participate in both cheer and dance. “We make tuition affordable and really try to balance the practice schedules to accommodate those athletes so they aren’t in the gym seven days a week,” Haase-Johnston explains. They also try to maximize resources in other areas; for instance, the uniforms and costumes have become multi-purpose as a means of keeping overhead low while still looking professional at competitions. “One unique thing we do to cut back on costs is use our cheer top for our pom teams and pair them with black jazz pants and a mesh leotard to cut down on uniform prices,” says Haase-Johnston. Like Haase-Johnston, Leone of Shockwave sees dance as a growing sector of the cheer world and a great way for a gym to reach a wider market—provided owners have the right infrastructure in place. However, unlike Ultimate Athletics, they try to have their athletes choose between cheer and dance. “Otherwise, when you get close to competition and start scheduling extra practices, it will become an issue,” says Leone. At Penree’s CNY Storm, most of her dancers are also cheerleaders, so practice days and times are separated out so that most athletes have a break. “It also teaches those athletes time management skills,” Penree says. However, she adds that competition scheduling can be tough—dance is usually at the beginning or end of the day, making it a long day for any crossover athletes. Smaller competitions can also be a challenge, since there is very little time for costume and makeup changes. Another top consideration is staffing. Many gym owners stress the importance of not having coaches do too much double-duty, as it can lead to scheduling problems and burnout. One solution is to bring in dedicated dance coaches who can focus on that aspect of the program—for gym owners who are able to find the finances, it can be a huge plus.